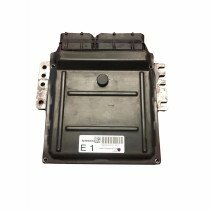 If you are searching for a replacement, refurbished, or reflashed PCM for your Nissan 300Z, you’ve came to the right place. As the nation’s leading PCM service company we offer a wide range of PCMs, ECMs, and ECUs that are guaranteed to satisfy your car’s auto computer issues. We specialize in all cars, including your 300Z, so give us a call today TOLL FREE and find out more how we can get your car back to running as it should. Our team stands behind our service as we guarantee and offer lifetime warranties on all of our products. If that isn’t enough, we will save you up to 50% on what you’d spend compared to your local auto dealership or store. Locate the correct year below and order today to get back on the road with ease!